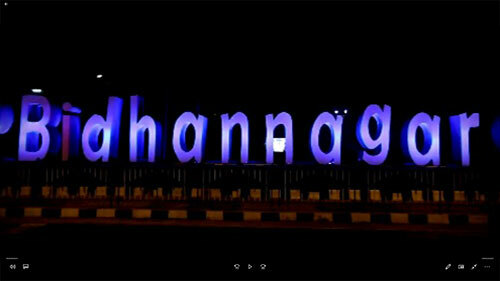 Bidhannagar, the most important satellite town of the city of Kolkata is situated on the eastern edge of the city. 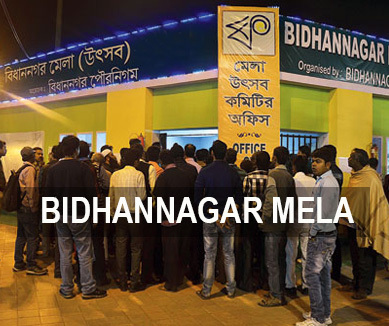 Bidhannagar is named after Dr. Bidhan Chandra Roy, the first Chief Minister of West Bengal, who came up with the township idea to relieve the rising population pressure on Kolkata. The original township was called Salt Lake, which was later renamed as Bidhannagar. On 18th June 2015, Government of West Bengal expressed its intention vide notification number 244/MA/O/C-4/1A-12/2012 dated 6th May 2015 published through Kolkata Gazette Extraordinary on 7th May 2015 to constitute the municipal areas of Bidhannagar and Rajarhat-Gopalpur and Panchayat areas of Mahishbathan-II Gram Panchayat, constituted under the WBMA, 1993 and the West Bengal Panchayat Act, 1973 respectively, a Municipal Corporation are with head office at Bidhannagar in the district of North 24 Parganas under section 3 of the WBMCA 2006. The board of council is constituted on 16th October 2015. The BMC falls under the administrative jurisdiction of Bidhannagar subdivision in the district of North 24 Parganas and police jurisdiction of Bidhannagar city police.